Living in Latvia is a lot cheaper compared with more developed countries in Europe. It is an in ideal destination among expats who want to experience a great life but need to stick to a budget. One of the best places to full experience the distinct charm of Europe is Latvia. This Baltic nation is a treasure chest of wondrous things such as a booming economy and impressive social guarantees and like a cherry on top, Latvia is also a cheap place to live in where foreign nationals can lavish on an exciting life without draining their bank accounts. In fact, consumer prices in Latvia are nearly 35% lower than in United Kingdom and roughly 38% cheaper than in France. Expats in this country will be glad to know that the average cost of living for an individual only ranges from €350 to €400 per month, excluding income tax and social insurance contributions. Housing is the second highest expenditure in Latvia which takes up nearly 19.5 of an expatriate’s monthly income. Though there are no restrictions for foreigners who want to purchase a property in this country, many expats still opt to rent considering that most work assignments only last for a few years. Jurmula and Riga, the capital, are the priciest places to live in Latvia but are still regarded among the cheapest major cities in Europe. Latvenergo, the public electric utility company, has raised the electricity prices from €0.167 to €0.169 per 100 kilowatt hour (kWh) starting April 1 this year. The increased rate will be imposed on households consuming less than 200 kWh each month and those that have not registered with online customer portal e-latvenergo. According to new rates, households with low electricity consumption will be charged an additional €5 each month. The cost of transportation accounts to 14.5% of the monthly budget. Driving is a not much of a good option for expats because of the hefty insurance prices and fines if they commit traffic violations. 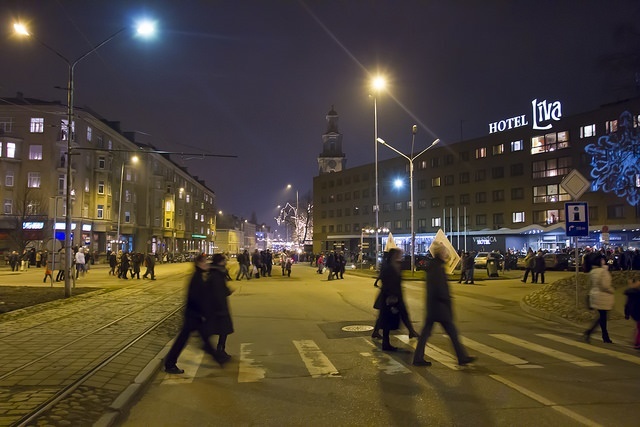 However, Latvia has an extensive network of public transportation that most locals use. Trains, trams, trolley buses, minibuses and buses are the most common types of public transport in this country. Expats can purchase their tickets from the driver or buy e-tickets from Narvessen (kiosks or ticket vending machine) where the prices are less.